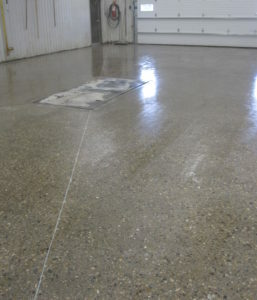 Polished concrete is ideal for environments seeking a floor that requires a clean and healthy building, it is durable enough for forklift traffic, manufacturing, schools, retail stores, warehouses, basements, garages and aircraft hangars, dust free, and provides an extremely smooth and reflective finish. 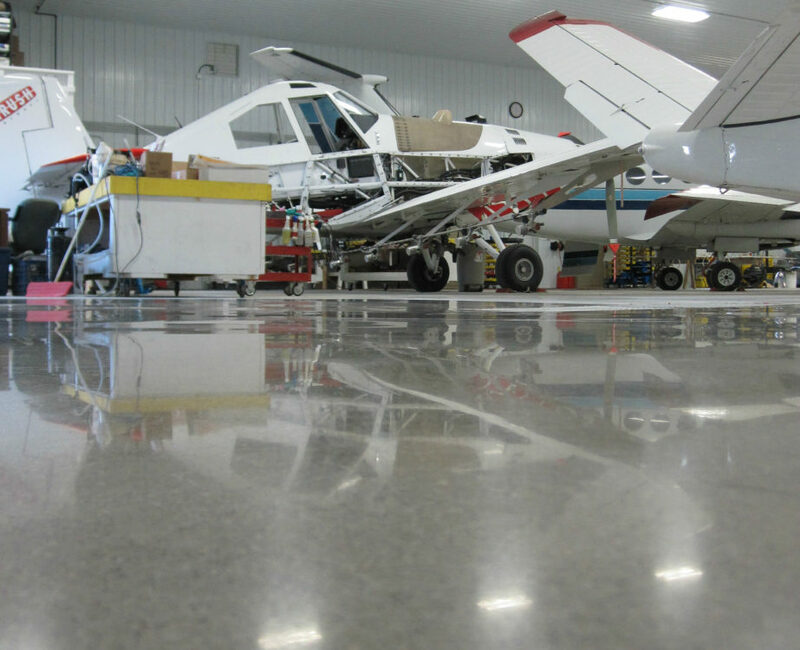 The floor is mechanically ground, honed and polished through a series of steps determined by the desired sheen of the final floor finish. This type of floor can have several advantages over other finishes, low initial cost, lower maintenance then many floor types. The best option when moisture transmission from below is an issue. 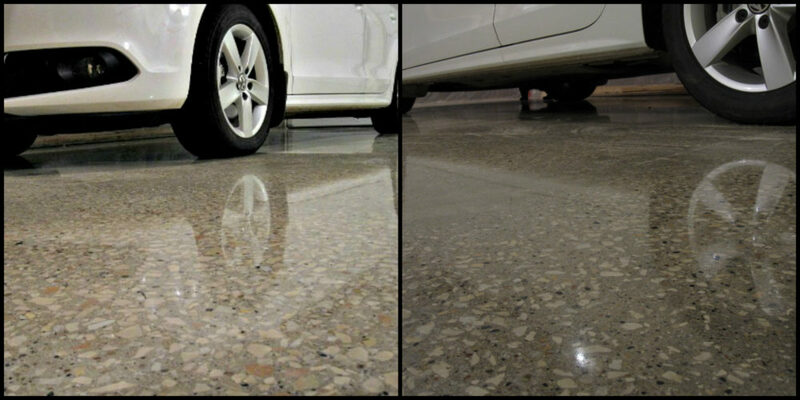 Moisture transmission can be isolated to large rainfall events and may only be an problem once in 5 years for example, it only takes one event to cause a major problem with a coating or floor covering that can not let moisture through the slab. 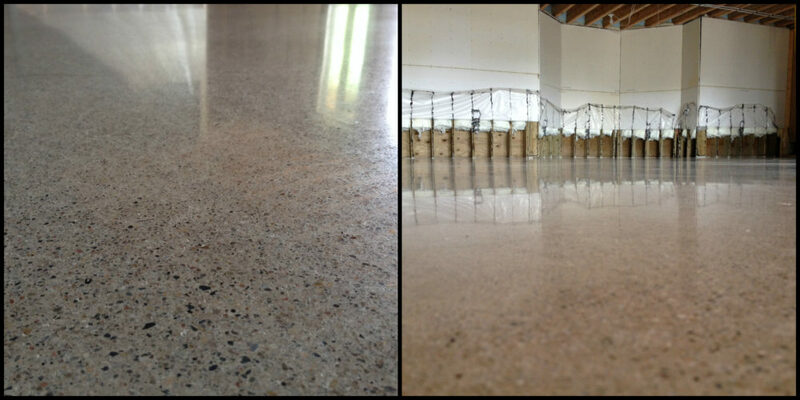 Lower grit polishing (honing) is commonly utilized after floors have been repaired or had the top surface removed. 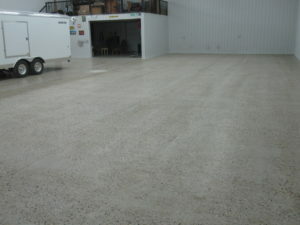 An economical and low risk solution for slabs with a history of problems or general wear/tear. Daily cleaning – Dust mop or as needed. Weekly / monthly / Annual cleaning can be done with a damp mop and water or auto scrubber clean water, neutral pH cleaners if required, rinse if cleaner is used. Annual Maintenance is to burnish the floor if its stain guarded.